We humans have got a dreadful habit of anthropomorphism. We take our human thoughts and human emotions and assign them to the wildlife we encounter. I try not to do it too often but it can be a useful tool for describing experiences and encounters. Undoubtedly animals can experience their own version of human emotions – captive animals suffer from stress, elephants have been observed displaying behaviour that can only be described as grief and anyone who has a pet will know that they are capable of showing real affection towards their humans. It’s important to remember though that these aren’t human emotions and shouldn’t be regarded as such. 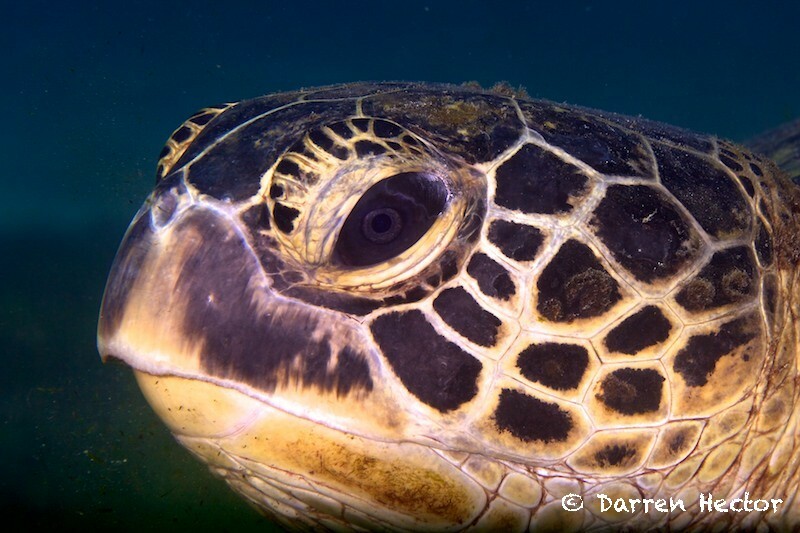 Having said that – take a look at this green turtle in the Philippines. 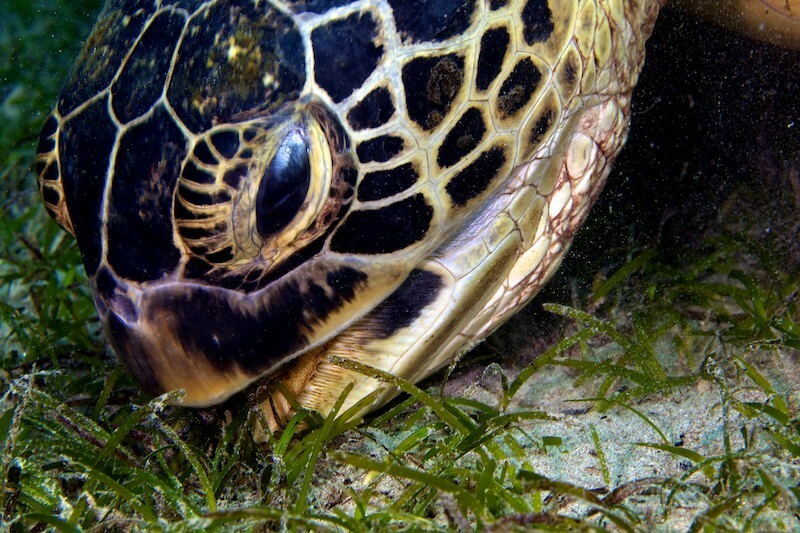 Can anyone tell me he isn’t a grumpy old fella who’s wishing that the humans with their cameras would just swim off somewhere else and leave him alone to eat his seagrass in peace? 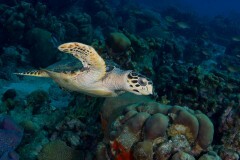 I can tell you the turtle was perfectly happy with our presence (just me and one other diver). 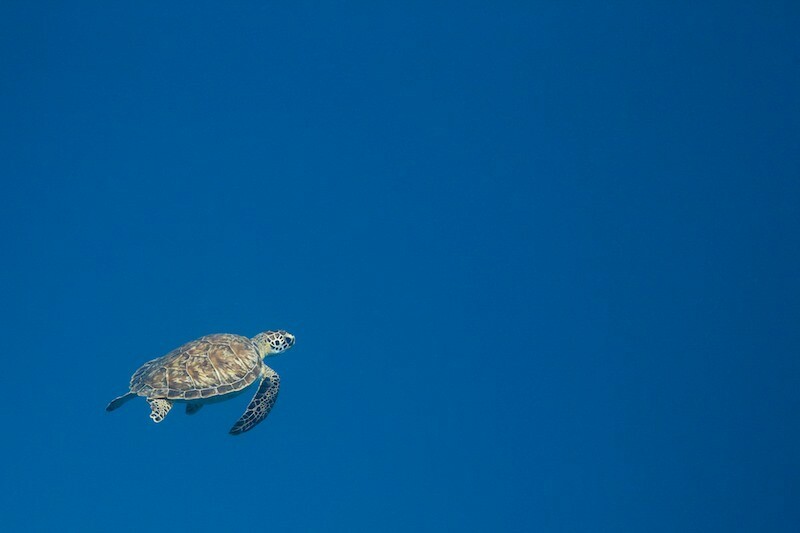 I was careful to do things like swimming away when I wanted to move from the side to the take a portrait – swimming across or trying to edge around would have bothered him. I was fortunate enough to spend quite a while watching while he had a meal. Sadly, mere moments after this image was taken he truly was very grumpy, as was I. A boat full of Korean divers turned up at the scene, straight off their boat and over to the turtle. They were stomping all over it, fins and arms everywhere, cameras going off in every direction. More like the paparazzo on a celebrity than people viewing nature. Some of them were kicking and barging me too, and eventually I deployed a sharp elbow to get them away. It was a disgusting display of bad behaviour by (in)humans towards another species. Some people really do make me sick to the core. Posted on Wednesday, December 15th, 2010 at 8:51 pm. Filed under: Underwater Tags: anthropomorphism, Asia, captive animals, close-ups, elephants, eyes, faces, green turtles, grumpy, humour, pets, Philippines, profiles, seagrass, shells, turtles	RSS 2.0 feed.